Get ready for action in this streamlined, performance lacrosse jersey. Our GIRLS' ACTION JERSEY is constructed for comfort on and off the field. 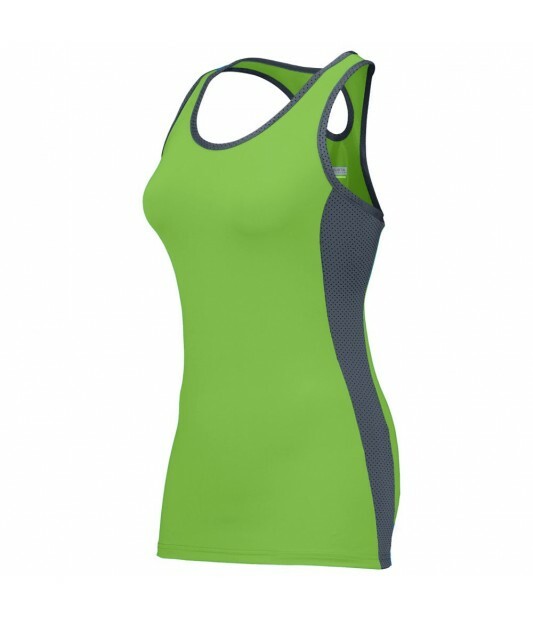 The lightweight blend of polyester and spandex is made for movement, and the wicking pinhole mesh binding and contrast color mesh inserts wick sweat away from the body while giving you breathable coverage. The racerback style frees and second-skin fit frees your upper body for twisting, raking, blocking and any other maneuvers you need to perform. Girls running gear. Also available in Women's sizes.